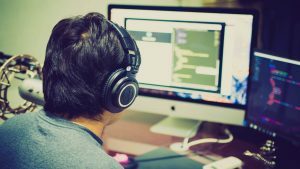 If you’re currently studying information technology and/or are looking to pursue work in the field, an IT internship is a great way to boost your chances of getting paid work in the future. It also allows you to develop industry connections, gain experience in the field and learn from the best. Often people who complete their IT internships go on to work for the same company they were with. But how do you know when you’re ready to start applying? This article will outline what you need to know before going for a position. Before you do anything, consider whether information technology really suits you, your personality and preferences. A career in information technology suits people who like to work independently, are creative problem-solvers, and are self-motivated and organised. A personality or career test can help you to determine this. There are many different areas within the field of information technology which may suit different personality types. Information technology is a broad field which covers a range of different areas of work. But rather than applying for all the available listings online, it may be useful to first have a think about the specific topic you’re interested in pursuing. Is it app or graphic design that appeals to you most? Or is it business, finance, marketing or web development? Knowing your area of interest allows you to hone in on the companies that you’re most interested in, and may most enjoy, working for. If you’re not sure, that’s okay. Getting any IT internship is a great thing, and it can help you figure out what you like and don’t like. Plus, you can always change your area of interest later down the track. While you’re not expected to have a ton of industry-relevant experience and qualifications (it’s an IT internship, not a paid job), it’s still important that you can prove that you have some relevant skills for the work. These positions can be quite competitive, so it’s vital that you stand out from the crowd. Information technology typically requires you to be skilled with technology such as computers and related software. However, soft skills such as good communication, organisation, time management, and the ability to work independently and in a team are also important. Providing evidence of ways in which you have displayed these skills will likely be an essential part of your application. Consider using part-time jobs, volunteer work, or involvement in clubs or societies as examples of your experience. It is also worth noting that most IT internships will want you to be studying a Bachelor’s degree in a related field, and they generally look for students who are in at least their second year of study. If you don’t already have a resume, or it needs updating, then this is the next step. A clear, easy-to-read format and appealing design is essential. Generally, try to aim for fewer pages – the more concise the better, as it maintains the interest of the hiring manager. Tailor any qualifications, experience and referees that you have to the company, and add a professional, high-quality photo of yourself for the final touch. Once you’ve finished your resume, move onto the cover letter. Ensure you are directly addressing the company you’re applying for and answer any questions they may have asked in their IT internship advertisement. Use polite, professional writing and terminology. If you make it through the first stage of applying, you’ll have to prepare for the interview. While these can be stressful, especially if you haven’t had many interviews before, preparing beforehand will make it easier. Ensure that you are familiar with the company and know a bit about them and the work requirements. Revise your strengths, weaknesses, goals and what you can bring to the workplace. Also practice your elevator pitch in two minutes or less, as many companies will ask you to talk a bit about yourself. Before the event, make sure you look presentable. Shower, do your hair and wear smart-casual clothing. This shows that you have respect for yourself and the company. Once at the interview, take some deep breaths to calm yourself. Try to be polite and friendly. Express interest and curiosity in the company, and ask some questions about them and the IT internship. This may include addressing things such as the company culture and expectations for the position. These tips will help you be better prepared for an IT internship and ensure that the process goes smoothly. Good luck!